Moderne Communications is a non-traditional media and experiential marketing agency. The 2nd “e” is the only thing silent at Moderne; since inception in 1986, Moderne has grown into an award winning agency. CPG designs & produces annual corporate conventions & conferences with an emphasis on inspiring stakeholders, motivating employees and connecting attendees to a larger brand story. For over 30 years, we’ve been creating unique solutions for global brands, erected from a solid foundation of proprietary data and analytics that inform every aspect of our award-winning experiences from strategy through execution. Our mission is to create exceptional experiences every day for our clients, their brands, our people, and ourselves. Legacy Marketing is an independent experiential marketing agency that inspires passion for brands by engaging people through integrated live + digital experiences. If you haven't heard of us, you will. We can assure you we do BIG things. We're an independent agency, over 25 years old, that has set the standard for developing and activating integrated programs. We believe experience matters. 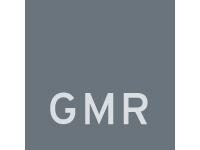 Founded in 1979, GMR is an innovative global sponsorship and experiential leader, connecting brands and their consumers through shared passions.